Despite the fact that yellow leaves are still clinging to the tree outside the bathroom window, winter seems to have officially arrived in Seattle, to judge by the dusting of frozen white stuff on the ground outside. I’ve spent a large portion of Thanksgiving weekend curled up inside with a book, after spending Thanksgiving Day itself having a slightly non-traditional dinner of ham with the girlfriend’s family. Her family lives in Poulsbo, which meant we had to get there via the Bainbridge Island ferry, and on the way we were treated to an impressive display of light and shadow among the clouds and shore. Since then, though, it’s been a quiet weekend. I did open a new prints store for my photography, located at Redbubble, and so far I enjoy the layout and options more than the prints shop over at my primary site, Journeys in Color. So in the holiday season, if you’re looking for interesting gifts for folks, please consider stopping by either of my prints shops. In addition to prints and posters, I also have phone, tablet and laptop cases for sale; travel and coffee mugs; greeting cards; postage stamps; and more. And feel free to e-mail me if you have any questions. In addition to prints and merchandise, I’m also running a sale on my photography: 40% off portrait and headshot sessions that are booked before the end of the year. You can buy them for yourself or for someone else, via gift certificates. I recently took some new author photos for writer and editor Jennifer Brozek, and I’m pretty happy the results. (You can see one of the pictures we took on her front page). I’ve also finished editing the photos from my Asia trip. I’m still deciding what to do with them, but you can see them online here, divided into galleries for each location. Some are also available as prints in the Journeys In Color print store. Amidst the big photography push, I’ve found it hard to focus on my writing, although I did dust off the steampunk novel that I completed earlier this year and began editing it again, in preparation for sending out some agent queries. The NaNoWriMo work I’d intended to do on my 44,000-word Nepal journal didn’t manifest, again, largely because I’m focused on photography, but I’d still like to turn it into something people might read. So that’s my November update. If entries here seem sparse, it’s mostly because I’ve been photoblogging a lot. But my “Journeys Around Seattle” project that I’ve been doing over there will also be wrapping up at the end of the year– which means it’s about time for me to have some end-of-the-year reflections, as I figure out what my agenda will be in 2015. Because to be honest, I’m really not sure at this point– an abundance of ideas, a lack of decisiveness. I find myself in the midst of Interesting Times. Stay tuned. 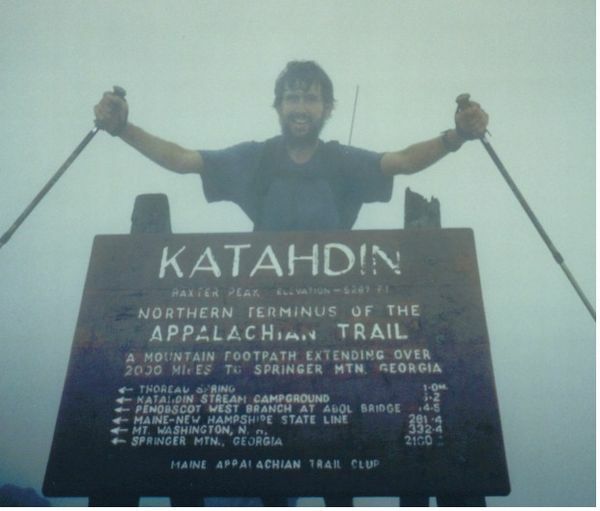 On August 12, 2004 I reached the northern terminus of the Appalachian Trail in Maine, after hiking for five months from the southern terminus in Georgia. You can still read the whole of my journal from the trail... I posted it as I went, from whatever public libraries I could find in towns along the way. At the time, I was mostly just relieved to be done, but since then it’s become an important bedrock of personal strength for me. If I can complete a 2200-mile, five-month hike, I can do a lot of other things, whether it’s travelling to other countries on my own, or moving to the West Coast, or starting a photography business, or dealing with chronic depression. To this day, I’m a huge believer in challenging yourself, in stepping outside of your comfort zone, in reaching for crazy and far-fetched dreams and goals, even at the risk of embarrassing or expensive failure. Hiking the A.T. may have been the first thing that really taught me that, even if it took me a few more years to recognize the lesson. I’ll be at RadCon, a sci-fi convention about three hours east of Seattle, at the time this post goes up. Just a sign of how life goes on, I suppose. But I’ve scheduled this post a couple days in advance, because I feel like February 16th is an important memory to mark. 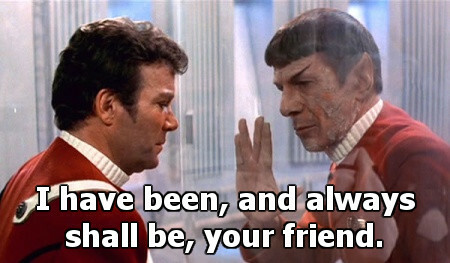 And I suspect on Sunday, my mind will be more dwelling on Mom than on a science fiction convention. Even one that I happen to be attending. One year ago, on February 16, 2013, at 8:00 pm, Mom passed away from very aggressive, metastatic breast cancer. In fact, we had only stopped the chemotherapy less than a month earlier– and afterward, the cancer took only a few short weeks to end her life. For me, it not only meant losing my Mom, but it was a very personal reminder not to put things off, to try exciting things and take risks now. Which is partly why I’m at RadCon, practicing photography and networking with writers and other creative professionals, in the hopes not just of making new friends and having a good time, but being successful and maybe even making a living doing things I love. I’ve posted the video below before. It’s a short memorial video I made with a few pictures of Mom’s scrapbooks; a little side project that kept me distracted while my brother and I finished sorting through her affairs and her belongings. Next week I’ll be back to photos and con reports, I promise. “Journeys in Color” Now Up and Running! I’m pleased to announce that I now have a dedicated photography website. You can see it here, at journeysincolor.net. My photographic interests are fairly widespread: I originally got into photography to take pictures of backpacking trips, and add a visual element to travel articles and blog posts. Along the way, my interest veered in more of a geeky/creative direction– I like taking pictures of cosplay, and bodypaint, and all sorts of art and costumes. At any convention or event that I go to, I will usually have my camera slung over my shoulder, looking for interesting people or moments to photograph. In a sense, I feel like it complements my writing. Whereas writing is language-based, and usually requires a great deal of patience before finally arriving at a final product, photography is visual, and usually requires very little time at all. With photography, I can see the results immediately, and whereas it might take me several evenings of work to polish off a short story (and far longer for a novel), in the same several evenings I can process, crop and edit a few hundred pictures, any one of which might potentially stand on its own as a piece of creative work. So please head on over and check out journeysincolor.net. In addition to having some of my favorite photos, arranged by topics and subjects, I’m also selling prints, so if you have a blank wall that needs a photographic print or collage, maybe you’ll find something that suits your taste. There are also full-size digital downloads for a token fee, if you see one that would work well as a computer background, or would like to print a picture or two for your own personal use. I also have a blog up at the new site, where I’ll likely be posting photo sets from various travels and conventions. In particularly, I’m doing a yearlong projects called Journeys Around Seattle, in which I’m planning to explore at least one new Seattle-area neighborhood, event, or festival every week, and post a corresponding photoset. I’ve already done two, one to Eastlake and one to Cougar Mountain. You can see all the blog entries so far here. I’ll still be posting trip reports here, as well as the occasional photoset, but by and large journeysincolor.net is where I’ll be focusing on photography, whereas Off the Written Path is where I’ll be focusing on writing (and life, and whatever current events demand a reflective and/or angry blog post). I’d be interested in hearing your feedback on the new page, so feel free to leave a comment either here, or in the guestbook over there, with any thoughts, suggestions, or constructive criticism. And if you like it, feel free to share it around. In addition to selling prints, I’m hoping to branch into doing some additional event photography this year, and I’m hoping that journeysincolor.net will be a first step toward marketing and establishing the business side of things a little more.